Place the pattern of a non-stick (NS) material on the underlay. 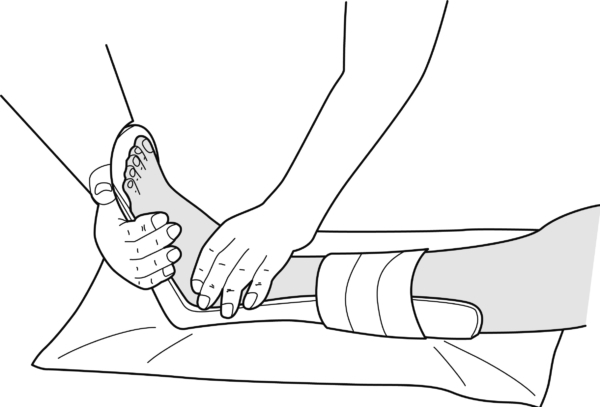 Place the leg on top, ensuring that the calf is covered (not the foot). Secure the pattern to the leg using a bandage. Stretch the material so that the foot is now entirely covered. 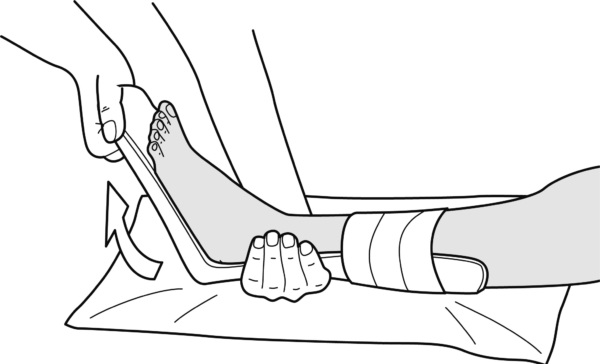 Hold the foot in the desired position until the material has hardened.